cucumber = cuke These gourd relatives are crisp, cool, and juicy, but get only so-so marks for flavor and nutritional content. A slicing cucumber = table cucumber is usually served raw in salads, sandwiches, drinks, sushi, and hors d'oeuvres to add crunch, but they can also be cooked like zucchini. Pickling cucumbers are usually smaller than slicing cucumbers, and often have thick, warty skins. 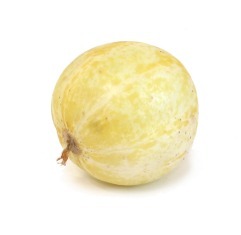 They're hard to find in supermarkets, but you can often find them during the summer months in farmers' markets. 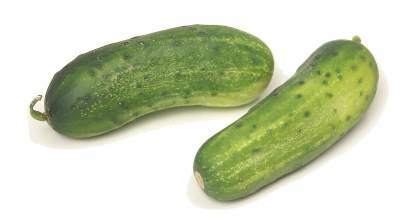 Select firm, unblemished cucumbers that are rounded at the tips and heavy for their size. Reject those with soft spots or withered ends. 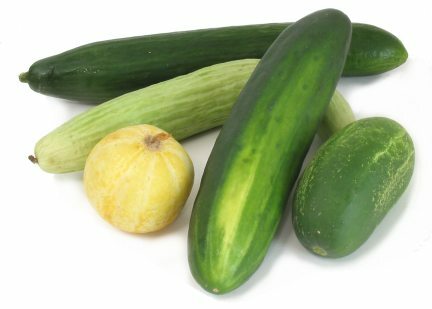 Within each variety, try to pick cucumbers that are relatively small and slender--they'll often have better flavor and fewer seeds. 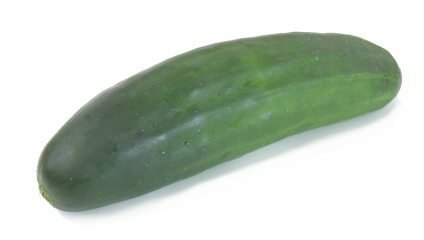 Supermarket cucumbers are often waxed to seal in moisture; unwaxed cucumbers can be sealed by wrapping them tightly in plastic wrap. 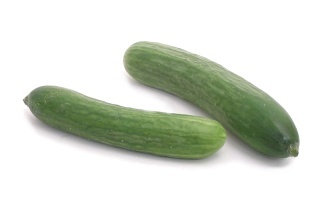 Store cucumbers unwashed in the refrigerator crisper, where the higher humidity will help keep them crisp. 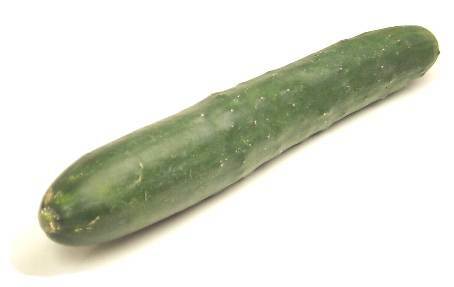 Don't freeze cucumbers--they get mushy if they're too cold. Use them within a week or so of purchase. Many cooks remove the tips, peels and seeds, which are tough and bitter in some varieties. To seed a cucumber, cut it lengthwise and scrape the seeds out with a spoon or knife. Equivalents: One pound yields about 2 cups sliced. Persian cucumber Notes: This is very similar to a Japanese cucumber.